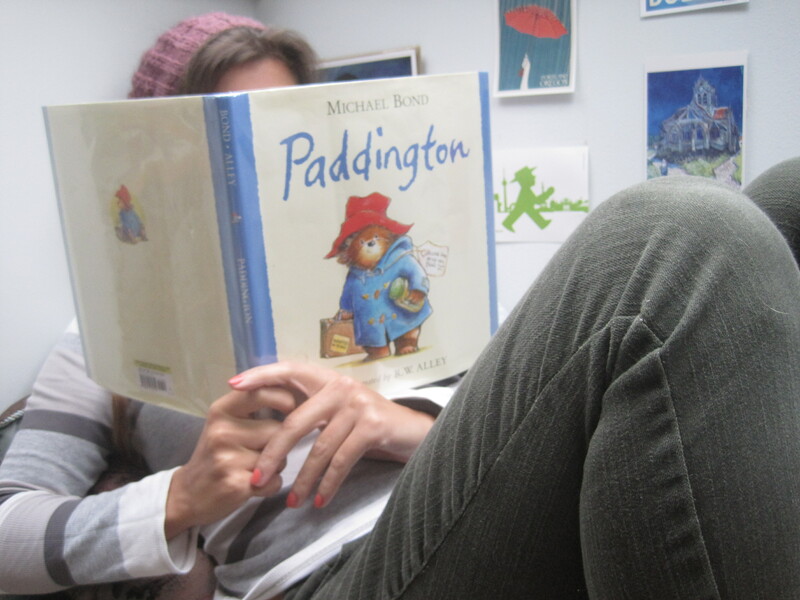 Growing up American rather than British means that I am far more familiar with the Berenstain Bears than Paddington, so I came to these books without nostalgia glasses of any sort. As such, my perspective is entirely adult, and probably misses a large portion of the appeal of these books. That said, I actually found them rather charming, in a weird sort of way. First impressions: Paddington Bear is certainly a children’s series, complete with fuzzy animal protagonist, conspiratorial whispering among children when adults won’t understand, and vaguely menacing implications about the state of the world that are never addressed by the characters. Basically, Paddington is this cute little bear who stows away on a ship to get to London, surviving only on marmalade. He is taken in by the Brown family, who rename him after Paddington Station, and Paddington Bear proceeds into a life full of comic misunderstandings and general slapstick shenanigans. Basically he’s like an exchange student, except he speaks perfect English and occasionally scares strangers by virtue of being a literal bear. Coming from a background of absolute poverty in Darkest Peru (no, really), where his guardian aunt used the last of her resources to stow him on a ship bound for England before she was apparently forced into a home for retired bears, Paddington’s complete bafflement with the niceties of middle class London life are understandable. He’s unfailingly polite and logical, but the endless culture shock get him into perpetual, sometimes incredibly harrowing trouble. Of course, the trauma Paddington experiences is never addressed. In one story, he falls asleep on the beach, is swept out to sea, and only survives by floating on his ratty old hat from Peru that he refuses to part with. The family laughs this off, and they all head home for dinner. It’s weirdly dystopian, but then most children’s series are to some extent or another. All told, Paddington is a pretty cute little series, and Paddington himself is a delight, and not always for the reasons he intends, which just makes it cuter. Will it adapt? : Yes. Paddington’s escapades have a slapstick quality to them that I expect will translate very well to screen. My only reservation plot-wise is that there really is no over-arching character development for Paddington, at least not through the stories I read. That will have to be created for the movie, or else it’s going to fall flat as a continuous story. The other reservation I have comes from the trailer for the film rather than the book; in the trailer Paddington doesn’t talk, whereas in the book his overly polite speech and observations are half the charm. It will be a real pity if the movie loses that. Should I read it? : Take it or leave it. The books are cute and fun to read, but I suspect the movie will communicate everything in them and more. Read it for nostalgia, I guess. I honestly never read the book, but the old stop animation shorts have held up amazingly well. They’re all available on youtube, I believe. I don’t think that the movie adaptation will work as well; a big part of the charm of the old Paddington Bear series is the perpetually fixed blank stupid smile on his teddy bear face as he does something that will inevitably bring about painful disaster to himself and everyone around him. I didn’t know about those! See: being American. But they sound positively delightful. I will have to look them up.